Who Designed the Weather Icons? To modern eyes, they're as intuitive as the alphabet: The bubbly cloud, the circle and its simplistic rays of sunshine. 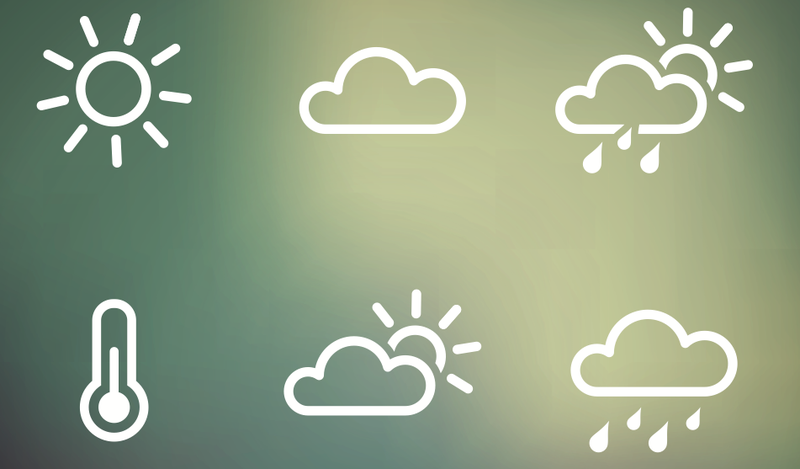 But our weather icons are actually pretty new inventions. Up until the 1970s, meteorologists used an enigmatic system of symbols to forecast the weather—until a design student came along and changed everything. In The New York Times, Daniel Engber takes a fascinating look at who created the icons that seem universal to us today. According to Engber, the first commercial weather map was put out by the U.S. Weather Bureau in 1910. Back then, the symbols for weather events were much more obtuse: Clouds were communicated with "empty and filled circles," and "the wind with tiny arrows." A look at the Weather Bureau's own report reveals that this first map—the urmap, you might say—was published in the Minneapolis Journal on March 1. But just four months later, it had spread to 65 different papers in 45 cities. Popular meteorology had come of age. The explosion of weather maps meant that more and more people were reading them, and so it wasn't long before the iconography of the weather had started to change. "The main vehicle was the cloud, and I hung everything off that," he says. The BBC adopted Allen's iconography in 1975, in exchange for 200 pounds and a small percentage of license fees. His drawings stayed on the air for 30 years. Allen's icons had a long run at the BBC, and inspired a multitude of variations at broadcasting companies and newspapers all over the world. Why were they retired? We might look to recent weather app designs for an explanation. 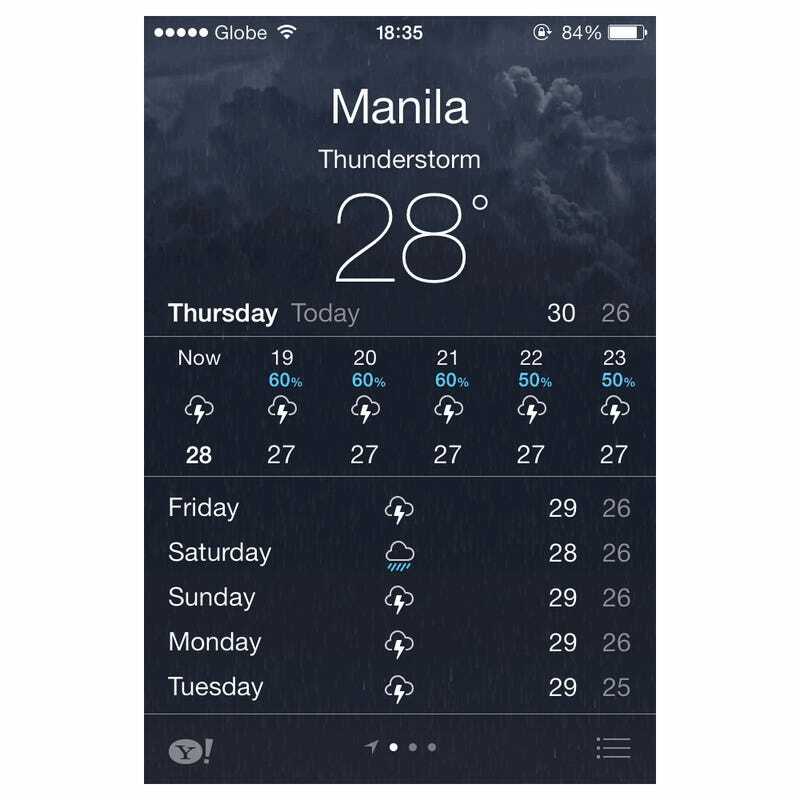 iOS's distinctive way of communicating the weather was a huge hit amongst users—as was HTC's version of animated weather, which some commenters point out predate Apple's. Rather than a pictogram, we get an animated, ambient look at conditions that are rendered to be downright romantic.